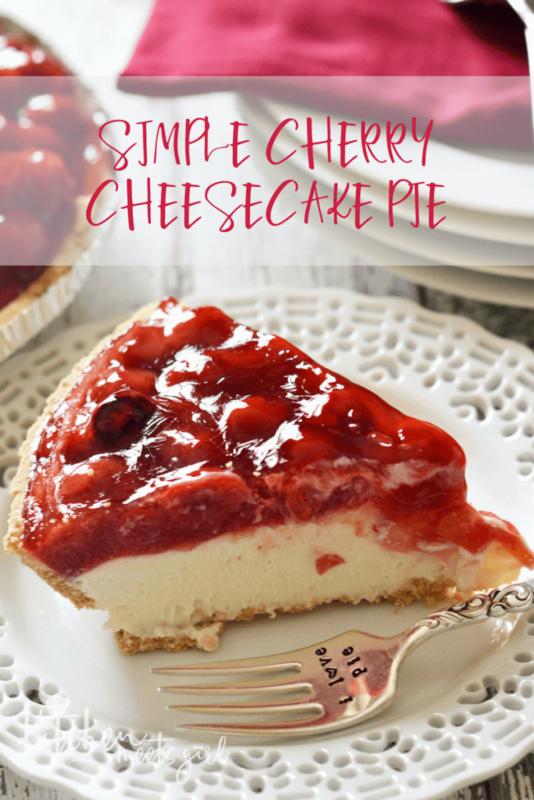 I made this simple cherry cheesecake pie a few weekends ago after finding the little recipe card tucked away in my grandmother’s recipe box. In fact, I pulled out about a million recipes of hers that I plan to try over the next few months…and almost all of them are desserts. Clearly, I come by my sugar addiction honestly. Considering this comes from someone who typically gives most things I make a thumbs-down, this is high praise. 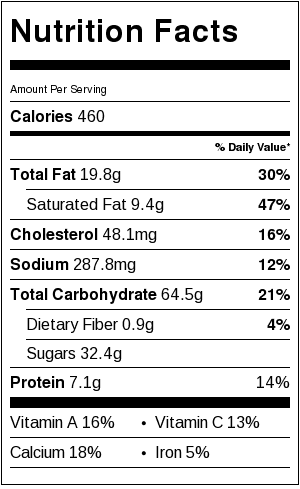 Of course, who could complain about simple cherry cheesecake pie? 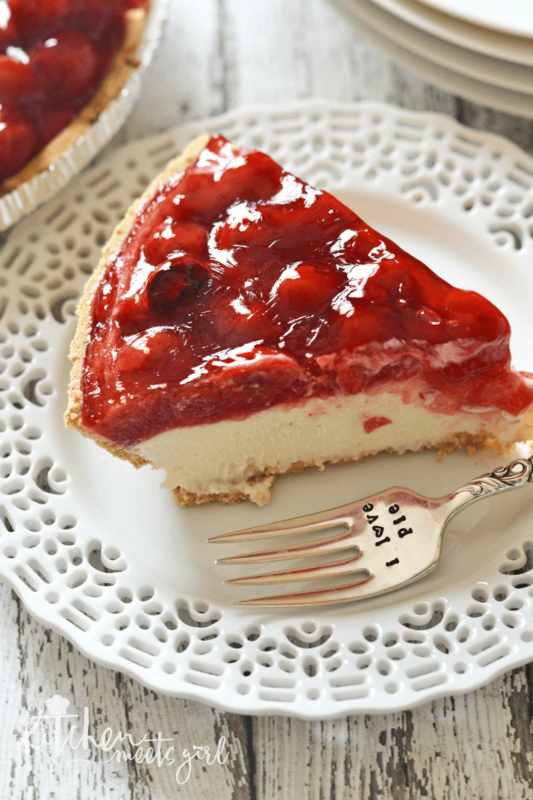 I really do love just how simple this cherry cheesecake pie is to make – no baking required. Just a few ingredients and some chilling time, and you’re ready to go. Next time, I’m going to try it with blueberries; I think that will pair just perfectly with the hint of lemon in the creamy filling. In a large bowl, beat cream cheese with an electric mixer until fluffy. Gradually beat in the sweetened condensed milk until well combined. Stir in the lemon juice and vanilla extract with a rubber spatula to combine. 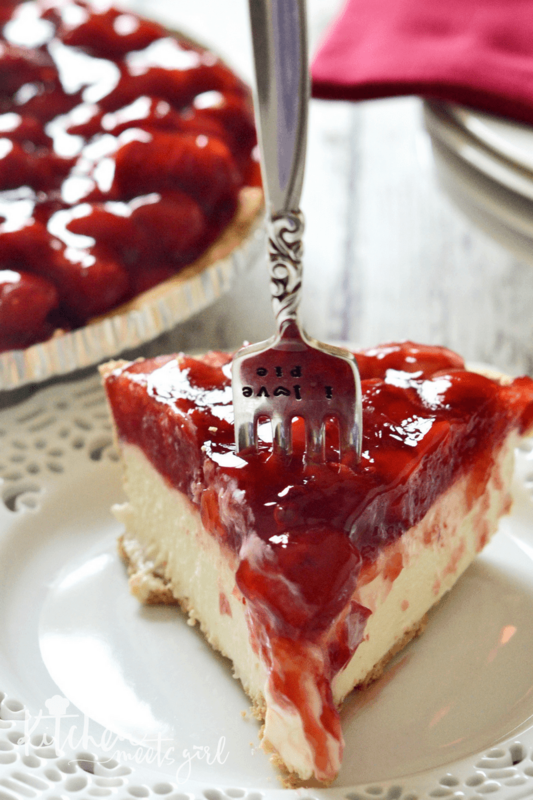 Pour into graham cracker crust. Chill pie for at least 3 hours, or until set. Top with cherry pie filling before serving. I make this often – it is FABULOUS!! !